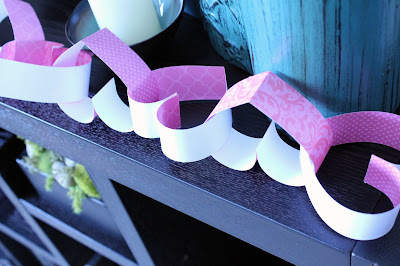 One of my favorite crafts when I was a kid was making paper chains to count-down the days until Christmas. My kids make Advent trees for that task, so we saved the paper chains for Valentine's Day. 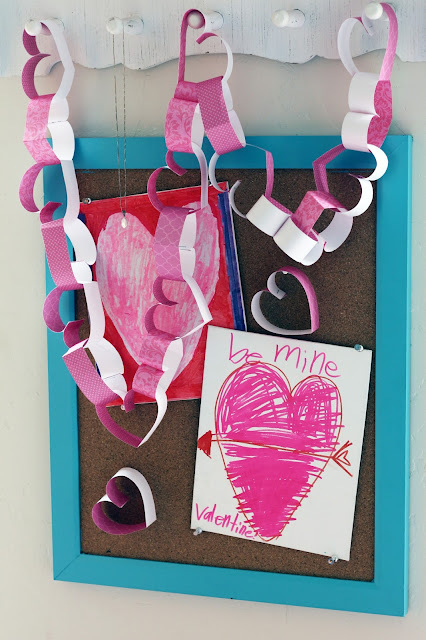 This is a very kid friendly craft. 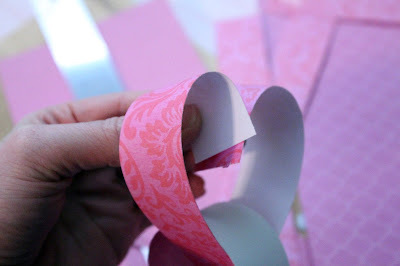 Cut strips of paper 12"L x 1"W. Fold the paper strip in half. 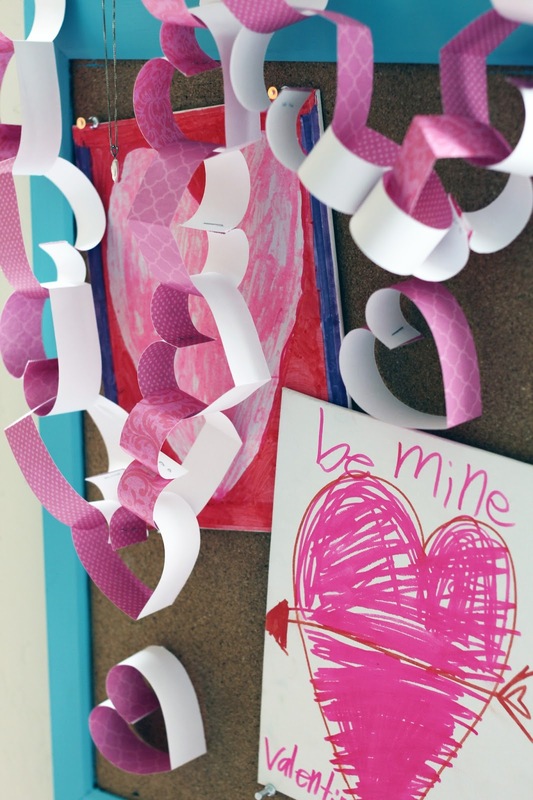 Link through another heart. 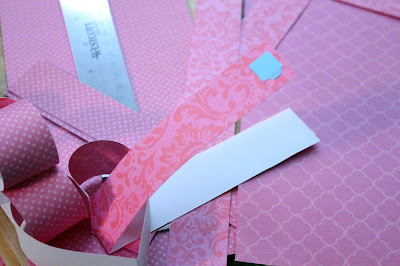 You can use glue, double sided-photo square adhesives or a stapler to secure the two ends. Take both ends of the paper strip and secure (face-up to face-up). 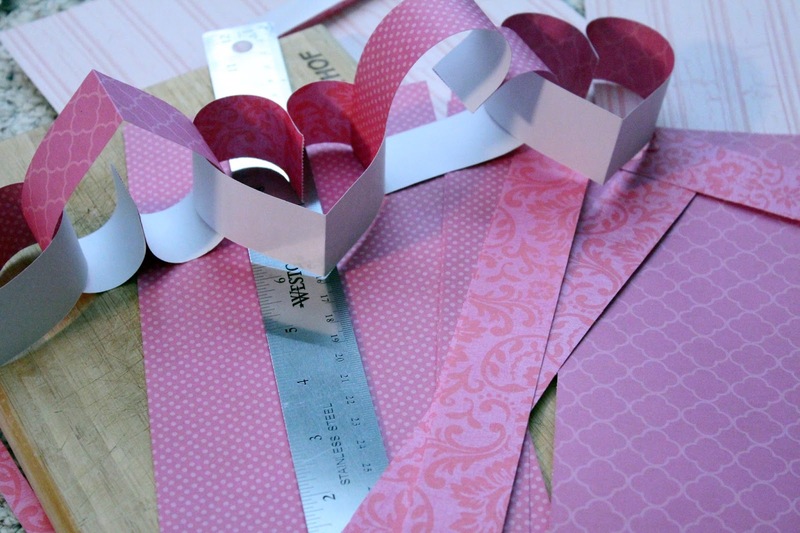 You can rotate white side/colored side if using scrapbook paper, so every other heart shows white on the outside and color/pattern on the inside and then color/pattern on outside, white inside. 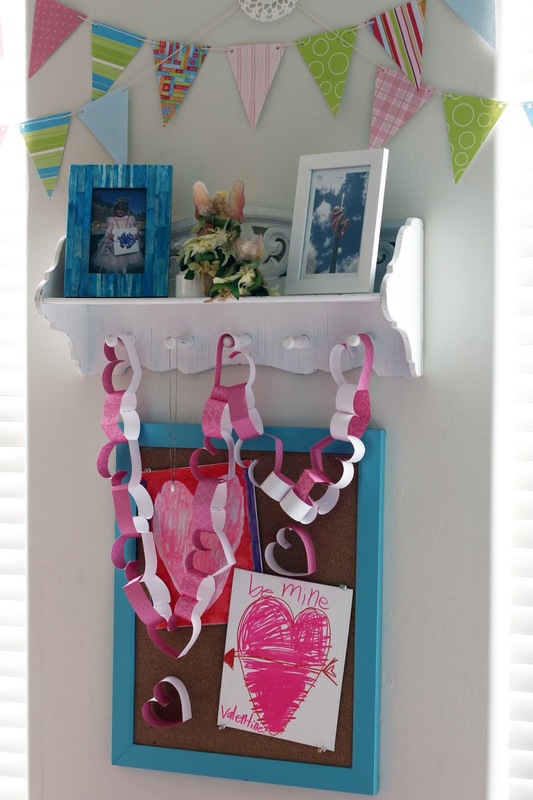 I found the adhesive tabs didn't keep a secure closure, so I ended up stapling the ends to hang the chain in my daughter's room while she was away one Sunday afternoon. 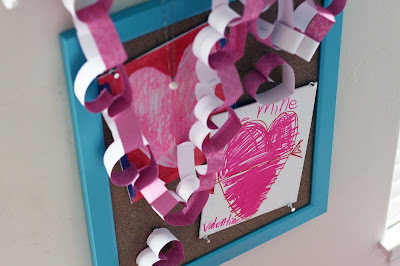 She had two Valentine's canvases she made last year, so I removed everything she had on her bulletin board and tacked the canvases to the board with the paper chain hanging down. 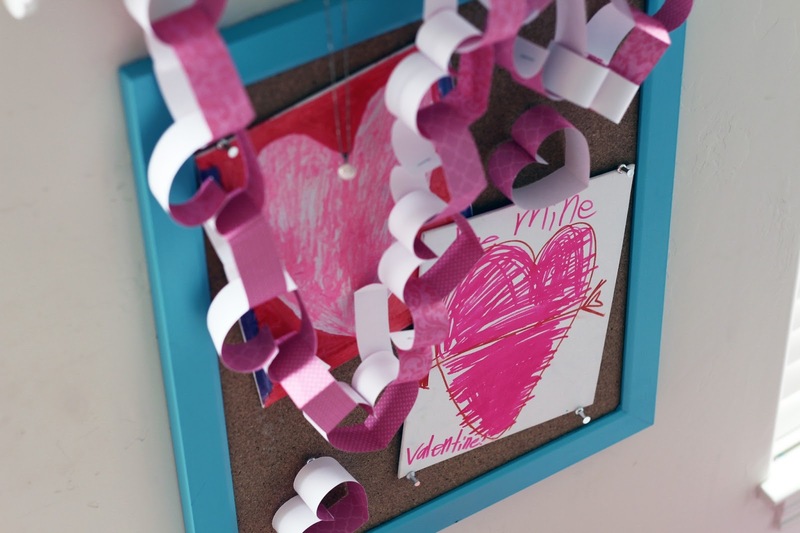 She was pretty excited and proud when she returned home and saw that I had decorated her room with her projects. Look for little touches. A little holiday decor can go a long way.